It has lately become a trend to abbreviate Christmas to "Xmas," particularly when dealing with limited space on billboards and in tweets, but this year I have seen it used with increasing significance as a way of "x-ing" out Jesus at Christmastime, as if He wasn't the central reason for the holiday in the first place. It's just another example of a modern movement to secularize this holiday. I was thinking about that again today, and I realized that, even with all the efforts to remove Jesus, He just keeps coming back into conversation. Sometimes, I think the "x" even calls attention to His absence. This "x" appears to be yet another symptom of conviction and guilt in society, if the news of more shootings, violence, etc. hasn't been enough to convince you that the general populace has tried to forget God and His authority over our deeds. Carrying that thought a little further, I remembered that the character "x" itself in English is itself a throwback to the Roman crucifixion cross. In essence, the symbol of the world's rejection of Jesus this season is the very one they used thousands of years ago at Passover time. That means, in essence, that the original Xmas (called Easter) falls in March this year. If that doesn't give you pause, I don't know what will. But, you know, some tried to wipe out all traces of Christ back then, and they failed then, too. I've been deeply saddened by all the news this week, and I pray for comfort for the families of the victims. I am reminded again that Jesus brings peace to the hearts of those who welcome Him in, so I have been praying for those who are searching for peace right now in the face of personal tragedies. I'm also praying that those who are thinking about dealing with their problems through violence will find the better way--Christ's way--which brings healing and restoration. 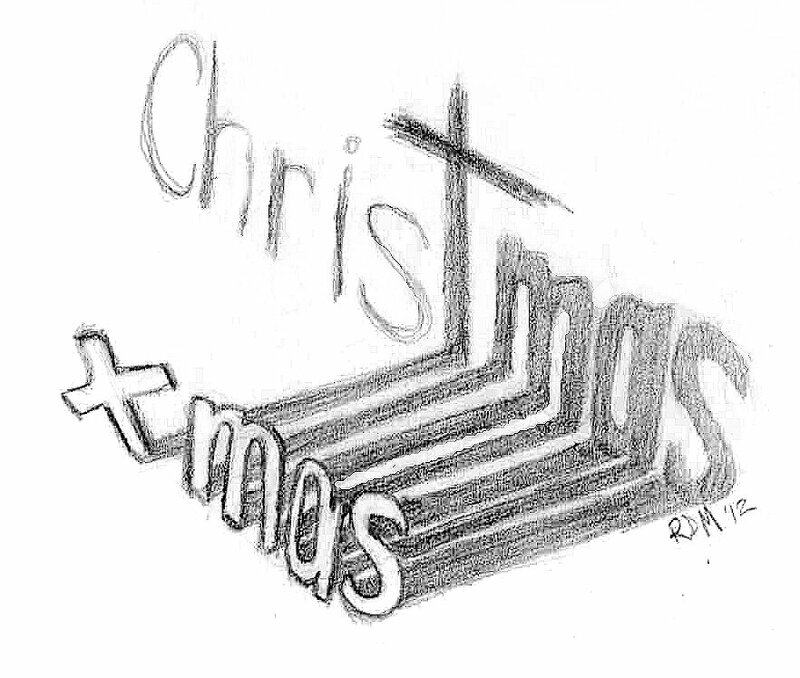 I hope those prayer warriors who are reading this blog will join me in that prayer this season, and if possible, Christians everywhere will take steps to remind people about the real significance of Christmas. In effect, we would be putting Christ back at the front like He should be. The world needs to know what we have found!